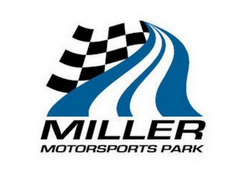 Miller Motorsports Park is a state-of-the-art road racing facility for automobiles, motorcycles and karts located just 35 minutes from downtown Salt Lake City in Tooele, Utah. It is considered the finest facility of its type in North America. Opened in 2006, Miller Motorsports Park hosts many of the world's most significant racing series, including the American Le Mans Series, Grand-Am Rolex Sports Car Series, NASCAR Grand National West Series, AMA Superbike Championship and, new for 2008, the FIM SUPERBIKE WORLD CHAMPIONSHIP, one of the top three racing series in the world.